This information is provided to tell you about your right to confidentiality and any limitations or exceptions to this right. 1. The Centre for Separated Families is committed to ensuring that the confidence of service users in its services is fostered through an explicit policy on confidentiality. 2. The handling of information that parents provide complies with Common Law and with the requirements of the Data Protection Act and is not shared with anyone outside of the Centre for Separated Families unless the service user has given permission for it to be shared or there are strong public interest concerns, for example child protection (see Limits on Confidentiality). 3. In general any information that is given in confidence by you, will not be shared with anyone outside of the Centre for Separated Families without your written permission. Information about you maybe shared with other staff members as necessary. If it becomes necessary to refer you to another service, we will ask for your consent before sharing relevant information with another agency or individual. 4. There may be times when our practitioner feels it is not possible to keep the confidentiality agreement. This will only happen in special circumstances where that practitioner feels it is absolutely necessary. Whenever possible they or a member of the staff team will talk to you before this happens. In addition, when you expressly consent, we may transfer information when we consult with other professionals. 5. 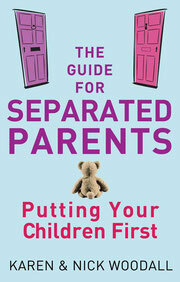 Access to and use of this and other services provided by the Centre for Separated Families is subject to this policy. By using any of these services you expressly understand and agree to these terms.